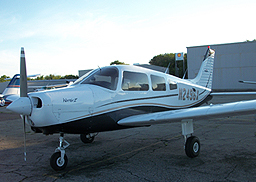 Warrior 2496X is a nicely equipped and fully IFR certified aircraft. King IFR avionics are nicely accompanied by a Garmin GTN650 touch screen GPS! It has tons of features for both IFR and VFR flight! 96X is especially great for those long cross-country flights with a nice leather interior and new GTN650.